If you are looking for creative ideas of what to have for breakfast, this is the article just for you! 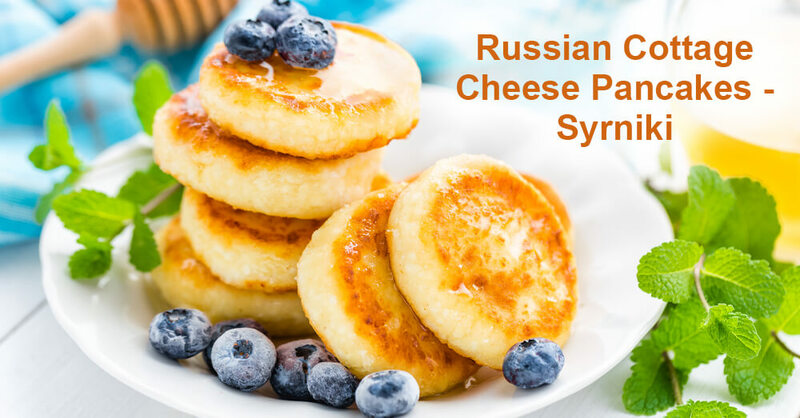 In this article, we are going to share with you a recipe of tasty Russian cottage cheese pancakes, or how they called in Russia – syrniki [SIR-nee-kee] (Syrniki). 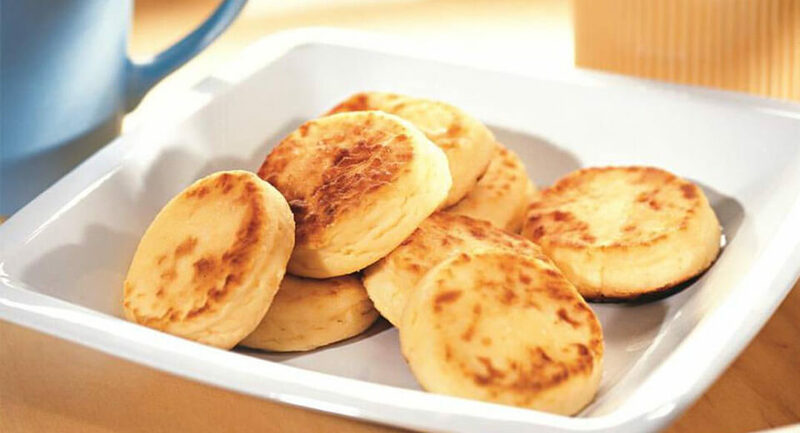 Syrniki are very similar to pancakes, but they are made from cottage cheese mixed with a small amount of flour. People have syrniki for breakfast or as a dessert with sour cream, jam, honey, or syrup. 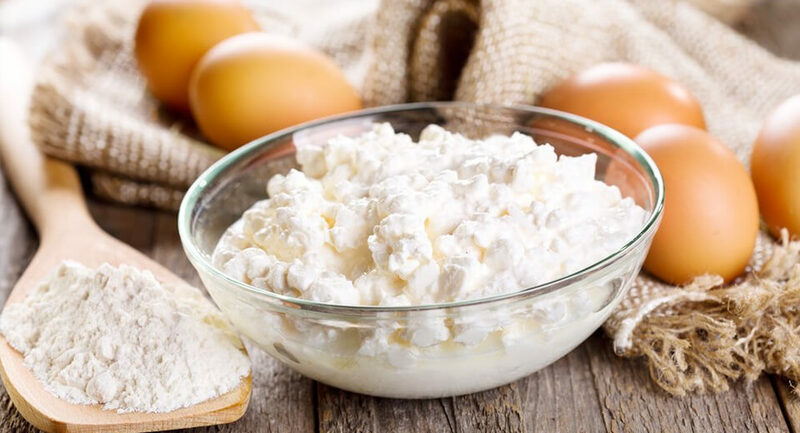 Beat cottage cheese with a mixer, then add eggs, sugar, salt, 4 tablespoons flour, and mix well. The dough should be very soft, but should not stick to your hands. Next, using a tablespoon make syrniki of the dough. You can dip the spoon into the water before that, so it does not stick to the dough. Heat the oil in a frying pan over a medium heat. Fry the syrniki from the both sides on the frying pan. First, 4-5 minutes on one side, then 4-5 on the other side until they got golden. Ready syrniki are served with sour cream, jam, honey, or syrup. If you have a sweet tooth you can add powdered sugar. That’s it! Enjoy your meal! We hope you’ll like this recipe. 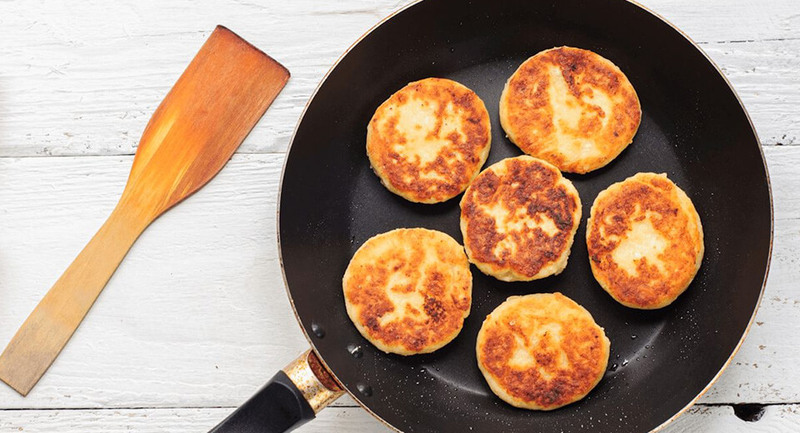 Have you ever tried syrniki? If yes, did you like them? Do you happen to have your own recipe? Tell us what you think of this dish.